South Africa - is a wonderfully diverse country bordered by the Atlantic and Indian oceans at the southern end of Africa. It is bordered by Namibia, Botswana,and Zimbabwe to the west as well as Mozambique and Swaziland to the north. It boasts hundreds of miles of coastline, incredible biodiversity, and is home to Table Mountain in Cape Town, which is believed to be one of the oldest mountains in the world! This country has over 56 million people, hosting a wide variety of population, religions, and languages - making South Africa the 25th most populous country in the world. Since the demise of apartheid in 1994, South Africa has been working to improve processes of democracy and accountability throughout the country. With the recent election of new leadership, the country remains hopeful for the growth of the country over the next 5 years to improve governance, economy stability, education, and a commitment to improving South African’s socio-economic conditions. While high HIV/AIDS rates (18.9%) have had a significant impact on the population, South Africa has developed the largest antiretroviral treatment (ART) programme in the world and these efforts have been largely financed from its own domestic resources. As of 2016, South Africa had nearly reached the first of the 90-90-90 targets, with 86% of people living with HIV aware of their status, an increase from 66.2 % in 2014. While the education system still requires attention, important improvements have been made over the years including and the future looks brighter as the current government system of innovation has furthering education and training the countries top priority. Ukulapha is a grassroots community initiative in Pietermaritzburg, KwaZulu-Natal province in South Africa; offering support to orphan headed households & families with vulnerable children. The foundations of the project are in Slangspruit and Imbali Townships where a focus is set on promoting the education of the students, graduates and families of Slangspruit Primary School. Key developments have included the introduction of a school resource centre with a full computer lab and library, annual academic scholarships to Alexandra High School, upgrades to the school kitchen and bathrooms, as well as supplementing a school lunch program. It is Ukulapha founder Carolyn Burn’s belief that the spirit of Ubuntu (a philosophy of humanity towards others) can be revitalized through managing emotions, building self-esteem and facilitating social upliftment. VIDEA supports The Ukulapha Outreach Projects through the provision of Canadian Youth Interns. 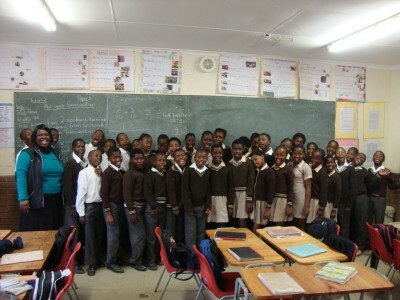 Past interns have worked closely with Ukulapha to teach English, computer literacy, and create life skills and sexual health workshops for the students at Slangspruit Primary. Interns have also collaborated with school staff to mentor youth through the development of extra-curricular academic and sports programs. Based in the Khayelitsha township of Cape Town the Khayelitsha Grief and Loss Support program is managed by VIDEA’s WHEAT committee. 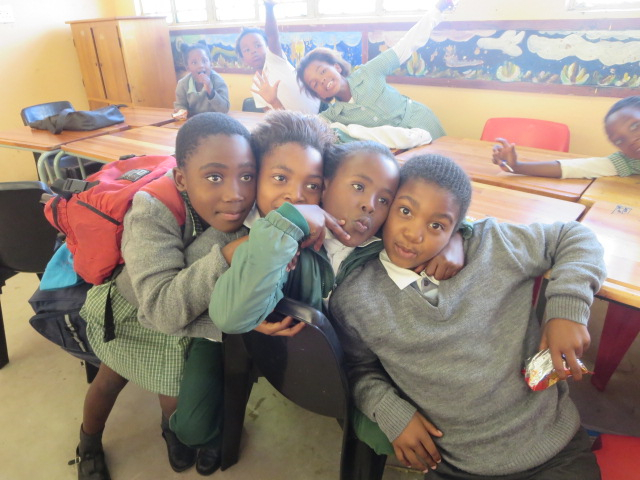 Focused on providing support to the many young people in the township who have been bereaved as a result of HIV and AIDS, this project trains peer counsellors who then work in the township schools running grief and loss workshops for township children. In the past year VIDEA has supported the training of 20 facilitators who have delivered 30 grief and loss workshops in schools.This invaluable psychosocial service is provided through weekly after school support groups which meet for 10 weeks and typically attract between 50 and 70 children per school.